What do you think about when you think of Paul Hollywood? Oh stop it, you naughty readers. If you were behaving yourselves, you might think of baking but more specifically, baking bread. Certainly, I associate Paul Hollywood with bread baking rather than cake baking. 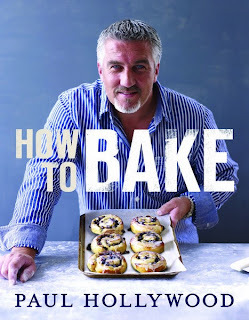 So I was surprised and delighted when I received a copy of his book 'How to Bake' to review, to see that there were indeed lots of bread recipes but also lots of other bakes too. Getting started with Bread is a great way to start, it’s a comprehensive guide to baking bread covering everything from different types of flour, through techniques and tools. I liked the use of step by step pictures as well as written instructions. Basic Breads covers white and wholemeal loaves in different shapes and variations, soda bread, flat breads, Italian breads and even crumpets. Flavoured Breads moves us on to introducing savoury and sweet ingredients into the dough, some lovely recipes for bread sticks, Coriander, olive and onion bread, Bacon and Cheddar loaves, Pecan loaf and Hot Cross Buns. Sourdough Bread is a real challenge for any baker but Paul takes us through all the steps and makes it sound achievable. As well as basic sourdough breads, he offers recipes such as Sour olive bread, Muesli and banana sourdough and Lavender honey and toasted almond sourdough. So many tempting flavours, it makes me really want to give this a go! Croissants, Danish & Brioche takes us into the realm of sweetened yeasted dough, there is a lot of technique involved in making these sweet breads and they can be time consuming. If you are worried about technique there is a double page spread of photographs showing how to make the croissant dough, they are clear and easy to follow. Biscuits, Puddings and Cakes and now we come to the chapter which surprised me, however it’s clear that these recipes are just as important to Paul as the bread. Sweet and savoury biscuits, strudels, Baklava, crumble, soufflé, cheesecake, chocolate cake, muffins, brownies, Buche de Noel and Christmas cake. If you’ve seen the Great British Bake off, you will know that pies are something Paul is passionate about. 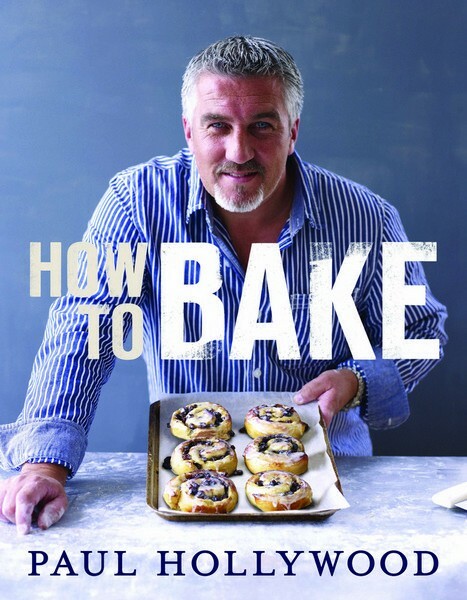 In this chapter Paul demystifies pastry making with recipes and techniques for different types of pastry and recipes for everything from Lemon meringue pie to hot water crust pork pies. How to Bake is a book for anyone who wants to bake, whether you want to learn how to make bread for the first time, to extend your repertoire or challenge yourself to try something new. It’s a big book and quite heavy, but that is a very little ‘con’ and only relevant if you are trying to read it in bed! The instructions are easy to follow, there is quite a lot to read at the start of each chapter and it’s worth reading this through before diving into the recipes. I would recommend this book, it is well thought out with techniques explained clearly in words and pictures, definitely worth buying. As I hadn't yet made my Christmas cake, I decided to try Paul's recipe, the photograph above is from the book. marzipan and snowy white icing make it much more festive and spectacular. one. The same goes for the icing. cover and leave for several hours or overnight. it stands a good 5cm proud of the top of the tin. adding a little of the flour with each to prevent the mixture splitting. cake tin and level the surface. a skewer into the centre – if it comes out clean, the cake is cooked. removing it from the tin. with a splash of water to thin it down, sieve, then brush all over the cake. then smooth the marzipan and mould the edges together. marzipan, smooth down and trim off the excess at the base. back of a spoon or your palette knife, as you choose. Leave to set. Here is my cake, it is much lighter than the one I usually make but it is packed full of fruit. There seemed to be a lot of mixture, too much for my 20cm tin, so I baked the remaining mixture in a small loaf tin. The advantage of this was that I was able to taste the cake without cutting into my Christmas cake! In fact the cake cuts very well as the texture of the cake is quite dense but moist and not over sweet. As an apricot and prune fan, I particularly enjoyed the dried fruits. I'll be interested to see how the cake matures. Excellent review and lovely cake. 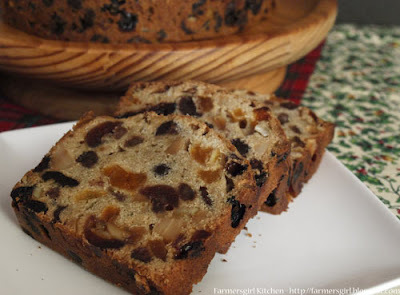 I like that it looks lighter and paler than traditional Christmas cake which I find too rich. Must have been the most incredible aroma in the kitchen. It's a great book. I have only had a read of it so far and haven't tried a recipe yet.I don't seem to have had the time. Your cake looks good. Are you going to keep it for Christmas and feed it alcohol? 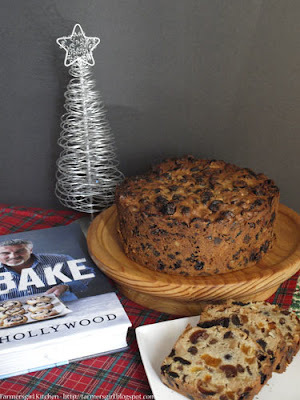 Great post Janet, can see many people this Christmas looking at what Paul Hollywood has to offer! Loving this book! The cherry and chocolate muffins are easy and delicious. Mixed up the fruit for this cake last night and was a bit doubtful about the lack of treacle and spices in the recipe, so greatly appreciated your comments and the photo of the finished cake slice - very useful! Definitely going to give it a go and, in fact, it might make a really nice change from the usual round of Christmas sweet things that all end up tasting the same! Glad you found my post useful, Helen. It is a lovely cake, but as you say not the usual Christmas Cake you expect! Hi, can I bake this in advance?. If so can I add alcohol and how would I store it. My first time baking this Christmas Cake. 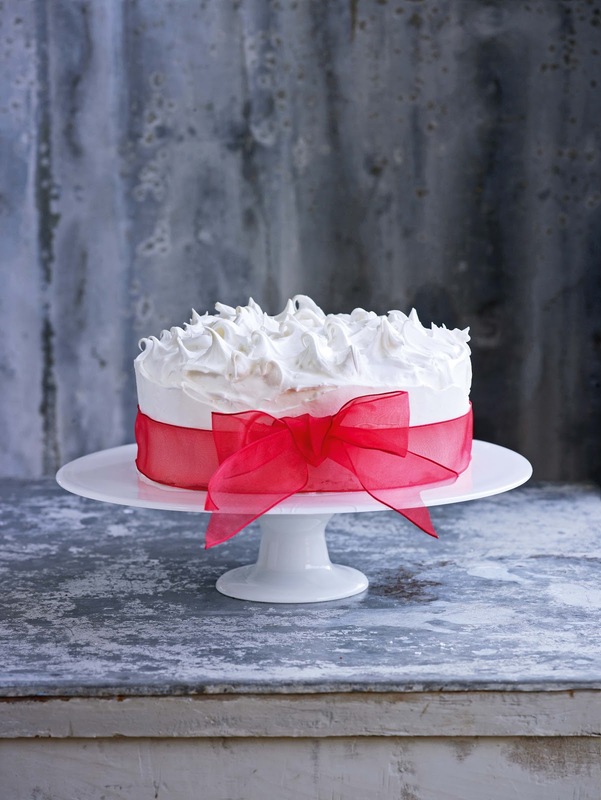 Yes, do make it in advance wrap in baking parchment and then foil and you can 'feed' your cake with alcohol by pricking it with a skewer and pouring over some whisky, brandy or rum. You can repeat this every two weeks until you want to eat the cake. If you want to add alcohol at the baking stage I would suggest you soak your fruits overnight in alcohol, they should soak it up and you can then use the fruit. As per the recipe. Hope you enjoy the cake.